The Career of Philosophy, Vol. II by John Herman Randall, Jr. 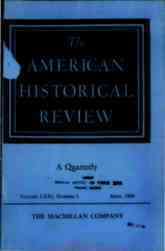 The Deutschtum of Nazi Germany and the United States by Arthur L. Smith, Jr. The Cabal by Maurice Lee, Jr.
General William J. Hardee: Old Reliable by Nathaniel C. Hughes, Jr. The C.S.S. Florida: Her Building and Operations by Frank Lawrence Owsley, Jr.